India tries to play catch up with China, Pakistan in 24X7 armoured warfare. The Indian Army to procure 1,400 uncooled thermal imager-based driver’s night sight (DNS) with fusion technology for T-90 tank. India is trying to play catch up with China and Pakistan in 24X7 armoured warfare. Only half of India’s tanks are configured for night warfare as against Pakistan’s 80 per cent and China’s 100 per cent. Night-blindness for Indian armoured formations will become a thing of the past as the army has revived the process to equip its main battle tank T-90 with high tech night visiion. The Army wants to procure 1,400 uncooled thermal imager-based driver’s night sight (DNS) with fusion technology for T-90 tank to assist the driver in tank operations at night. Indian Army plans to replace the existing image intensifier sights used in T-90 tanks in the next five years. “The proposed DNS will be a form-fit replacement for the existing Image Intensifier Sights currently used in T-90 tanks. It should facilitate driving during pitch dark nights with no ambient light. The T-90 tank driver should be able to clearly view the area in-front with adequate depth perception while driving over undulating terrain with the help of an uncooled thermal imaging sight,” reads the request for proposal document. The uncooled imager is less expensive and relatively maintenance free and are used for instant operations. “At present there is no Indian company which has the potential of manufacturing even in collaboration a DNS of the type that the Indian Army wishes to purchase. While Defence of Research and Development Organization has developed an uncooled DNS it is not clear if the technology has been shared with any Indian company,” says defence analyst Brigadier Rahul Bhonsle (retired). DRDO has developed uncooled thermal imagers based DNS for tanks of range up to 150 meters with field of view 45ᵒx34ᵒ. “This will considerably improve the night fighting capability by providing the ability to maneuver on the battle field under pitch dark conditions,” says Bhonsle. In November, the Indian Defence Acquisition Council (DAC) headed by Defence Minister Manohar Parrikar had cleared a proposal to procure 464 T-90 tanks from Russia at cost of approximately $2.1 billion. 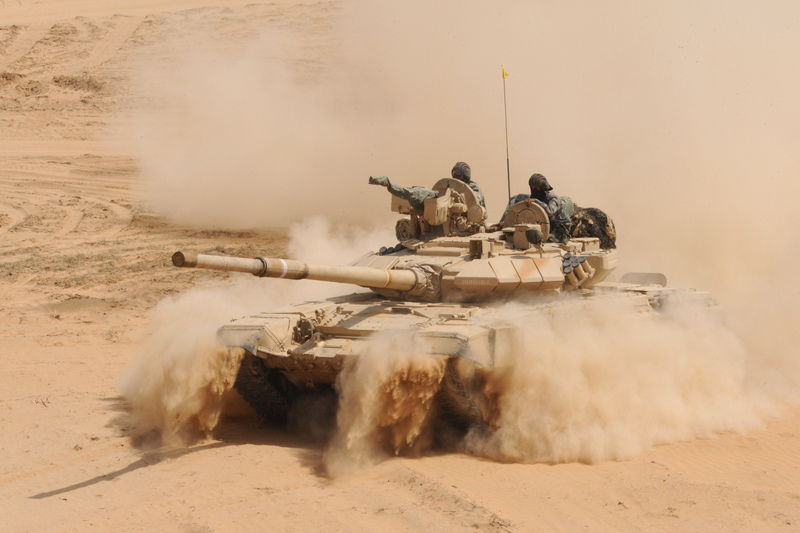 Almost 2,500 T-72 tanks currently serving the Indian Army need to be replaced by year 2020 but the delay in development of indigenous main battle tank Arjun MK II has forced Indian Army to increase its dependence on T-90s. Now, India plans to induct more than 1,600 T-90 tanks by 2020 that to be deployed in western front bordering Pakistan.